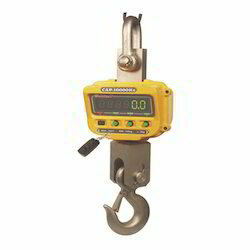 The offered range of Hanging Crane Scales is manufactured from high-grade quality material. These are duly tested by our experts on various quality parameter before final delivery. 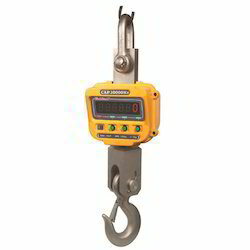 We have gained recognition as an eminent enterprise, devotedly engaged in offering a broad range of Crane Scale. Backed by a team of experts, this scale is designed using optimum quality components and advance technology. Our offered range is precisely designed, in order to meet the international standards. 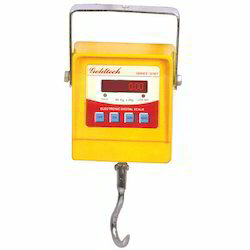 Furthermore, this scale is availed in various specifications, as per the varied needs of our valuable clients. Our range is stringently tested on various parameters to assure it on counts of quality.